Norliah is a mother of two beautiful boys and has been working in education for the past seven years. She runs her own business teaching singing, music and movement to children for the past ten years. 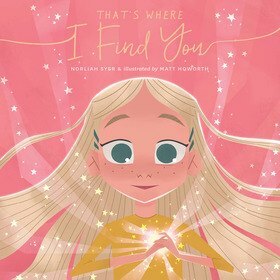 That’s Where I Find You is her first children’s picture book. Norliah has been inspired to tell this story based on the loss of her mother at age thirteen. Writing poetry and songs helped her through this experience. She has just completed her final year of her bachelor’s degree in Education Primary and she looks forward to extending her passion for literature and music through primary teaching. Norliah also has a Diploma in Music and has been working as a professional singer for the past twenty years, and is currently writing her first album. She has always felt that music has a way of helping people to heal and connect children to a wide range of learning experiences. Norliah’s story is filled with rhyme to help tell her story and she wants other children to know that no matter how far away someone might be, they are always part of our heart. Her business, Rhythm and Tunes, can be found on Facebook.